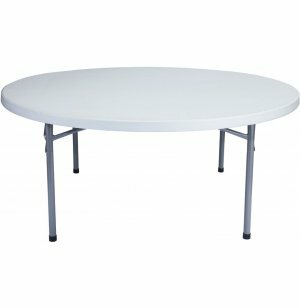 Round Blow Molded Table 71"
These round blow-molded folding tables are ideal for group study or conferences. 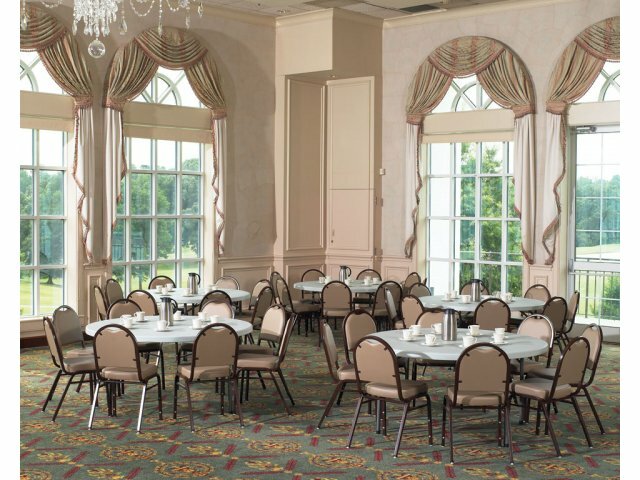 Circular shape enables all people seated at the table to see each other. 71" diameter seats ten or eleven people comfortably. 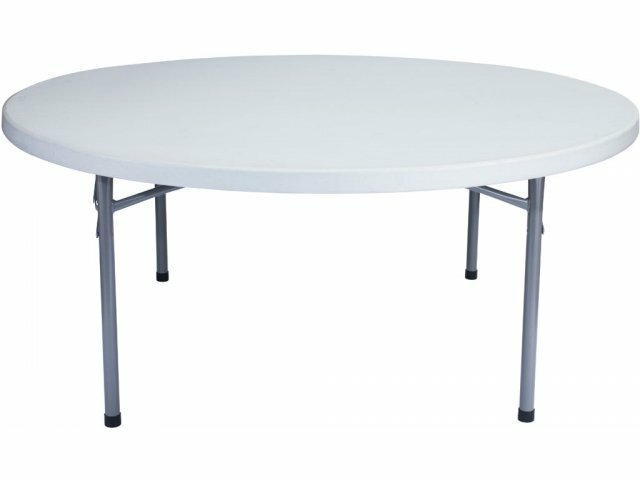 Strong yet light, these round folding tables can easily handle up to 1,000 pounds (distributed evenly), which is more than enough for school or institutional use. Yet they are very lightweight, making them easy to move and store. The molded thermoplastic table surface stands up to heavy use. Tabletops feature a lightly textured surface that resists scratching, but is smooth enough to write on. It is resistant to gasoline, paint thinner, battery acid, drain cleaners, and almost any other type of harsh material. Spray paint and permanent marker literally wipe clean with the use of a strong solvent such as paint thinner. Adding to their convenience is the fact that these round folding tables stack neatly when folded. 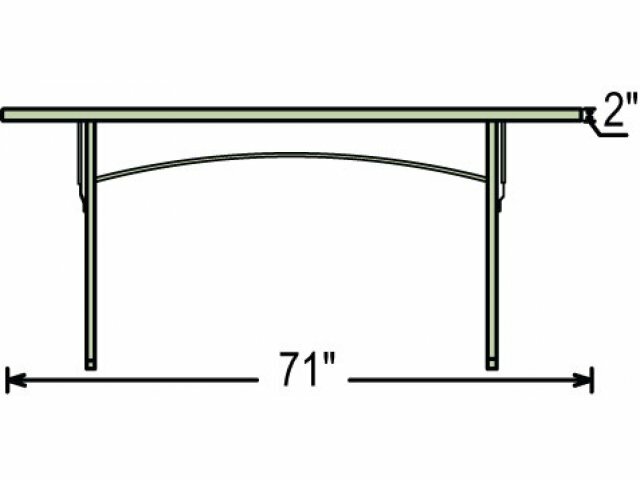 Large Circumference: 71"-diameter, round table seats ten to eleven people. 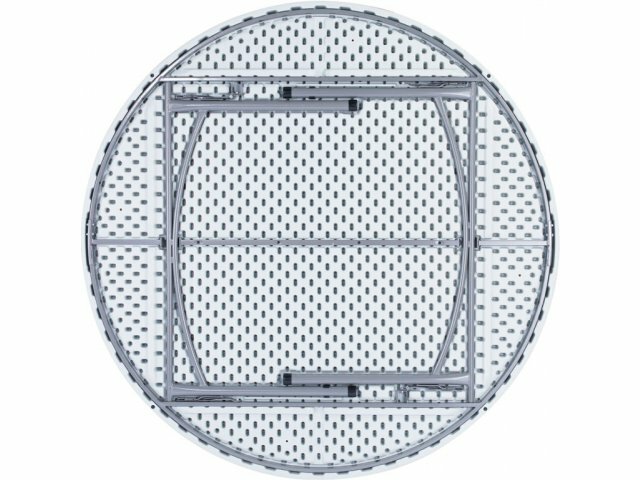 Massive Weight Capacity: Steel legs and extra-strong tabletop are built to handle up to 1,000 evenly distributed pounds. 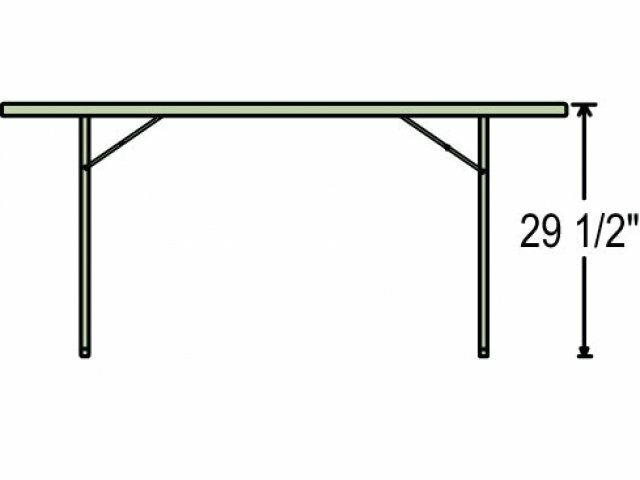 Incredibly Resistant Tabletop: Blow-molded plastic finish is resistant to gasoline, paint thinner and even harsh chemical products such as battery acid and drain cleaners. Super-Low Maintenance: Tough-to-clean materials like spray paint and permanent marker literally wipe clean with the use of a strong solvent such as paint thinner. Easy to Store: Tables stack neatly when folded, making it easy to store them away when not in use.